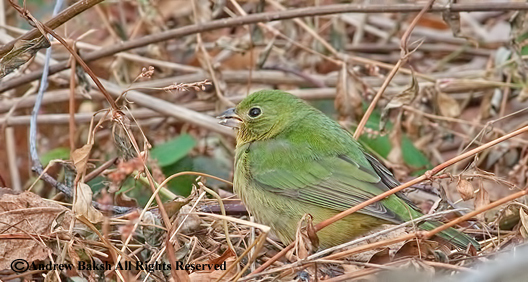 The Bronx, is often times forgotten when it comes to birding, but it is one of my favorite boroughs to bird. Maybe because it has so much history for naturalists like Roger Tory Peterson who was a member of the Bronx County Bird Club. With over development and loss of habitat, gone from Van Cortlandt Park are the days of goodies like of King Rail, but we still now and again get those coveted vagrants. 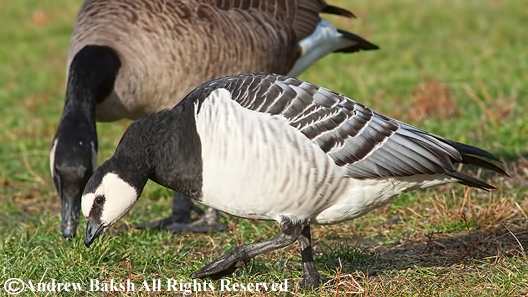 Like the Greater-white Fronted Goose, from last year, this is a new addition to the species of birds for Van Cortlandt Park, which is usually something that brings visitors from afar. 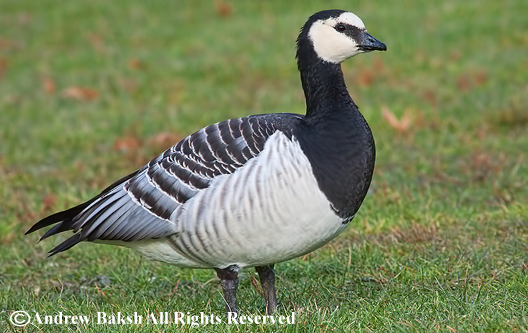 Once, I posted that the Barnacle Goose was observed on Sunday November 25th, many birders have visited the park to see and photograph this neat goose. Here are some of my own photos. Maybe I should keep calling Eric Miller every time I get the feeling of a rarity in the air. 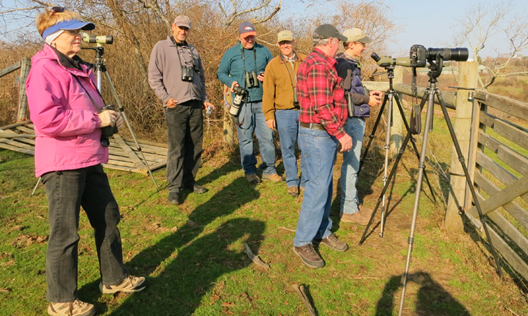 I had just gotten off the phone with my friend Steve Walter who was out at Point Lookout LI enjoying great looks at Cave Swallows. 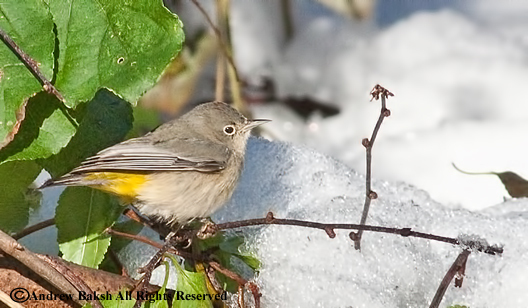 Subsequently, I called another friend, Eric Miller, you might remember him as the guy who not too long ago found a Virgina's Warbler at Alley Pond Park in Queens. We chatted for a bit and I told Eric that I was on my way to Alley Pond from the Bronx where I had spent a cold vigil in the morning before finally re-finding a Barnacle Goose at Van Cortlandt Park (I'll post photos later). Our conversation drifted to the Virginia's Warbler and Eric indicated that he was looking for it, but had not see the bird that morning (making two consecutive days that the bird has not been seen). I asked Eric if he had birded elsewhere in the park and he replied that he was leaving the area where the Virgina's was last seen to bird other areas in the park. He mentioned having Rusty Blackbirds at Turtle Pond. We exchanged some other information as I relayed to him what birds I had seen at Van Cortlandt Park besides the BAGO. I then asked Eric if he had birded an area he named after me called, "Andrew's Chat Corner". There was strategy in asking that question. 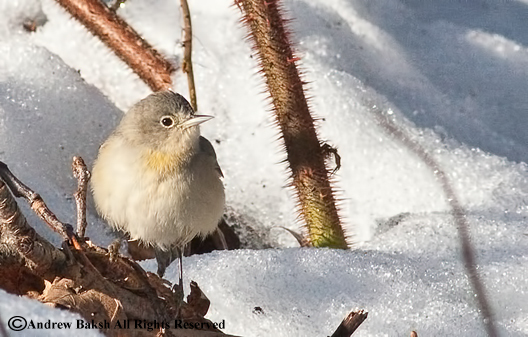 I remembered that near the area an Ash-throated Flycatcher was found a few years ago. I referenced that birders in Cape May had recently reported an Ash-throated Flycatcher and suggested that the corner/area should be checked out. Eric indicated he was heading in that direction and after a few additional minutes we ended our call but not before I indicated that I was going to call him when I got to Alley. Minutes later the phone rang, it was from Eric and this is what he said. 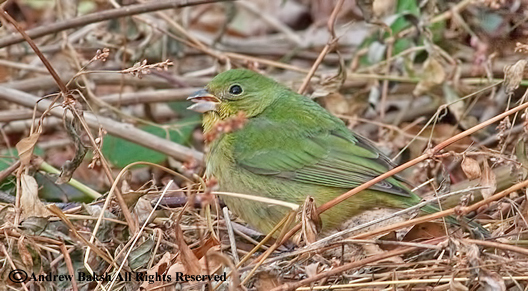 "You better get over here, I just found a female Painted Bunting", I was grinning from ear to ear. Yes!! 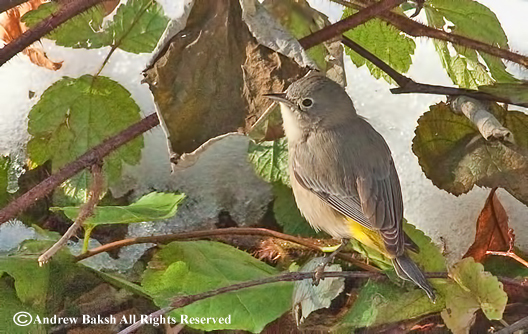 I knew it, there had to be a goodie out there somewhere - it was not an Ash-throated Flycatcher, but it was good enough! The Patagonia Picnic Table Effect was in play (The Patagonia Picnic Table Effect is a birding phenomenon named for a famous hotspot in southeast Arizona. 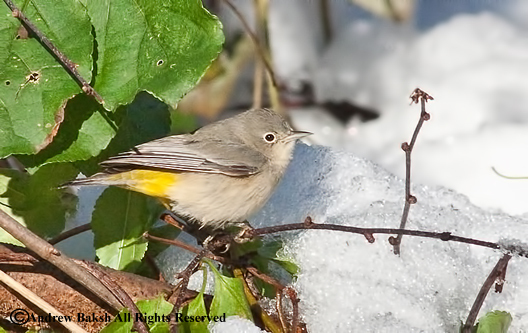 As the discovery of Rose-throated Becards there drew more and more birders to the area, additional rarities and birds of interest continued to be discovered, attracting even more birders and resulting in even more discoveries). 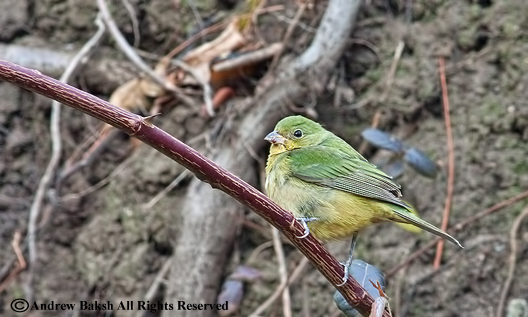 Here are some photos I managed to obtain of today's female Painted Bunting. Another excellent find from Eric who might have to fend off birders who may want to start tracking his every move if he keeps finding these rarities. This afternoon, I heard the call of an Evening Grosbeak and looked out the window to see a nice looking male perched in one of the trees in the backyard. Blue Jays were unfortunately aggressive towards him, but he made it to the feeders and I was in place and ready for my documentation photo. Sadly, the Blue Jays chased him off, but now that he knows where the feeders are, I am betting not only him, but others will show up. What will be next for the yard? 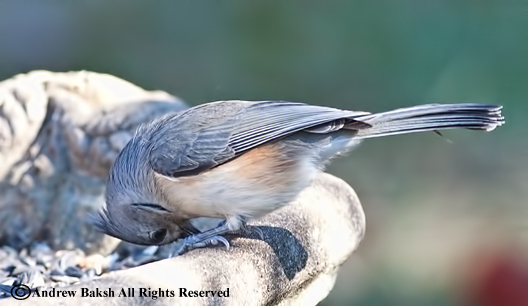 Will it be Red Crossbill, Pine Grosbeak or that Green-tailed Towhee, I have been thinking will show up at my feeders. Evening Grosbeak with House Finch at the feeders. 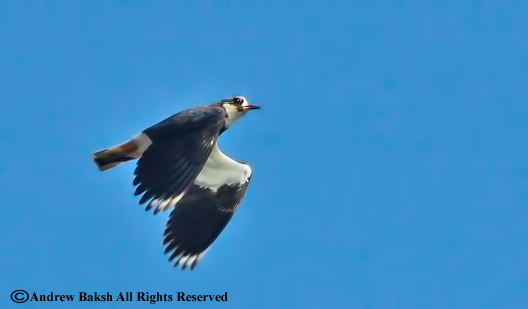 I had just left Alley Pond Park in Queens, when I picked a up a post about two Northern Lapwings found in by Jorn Ake in one of the pastures at the Deep Hollow Ranch in Montauk LI. I immediately began to think about twitching the birds. 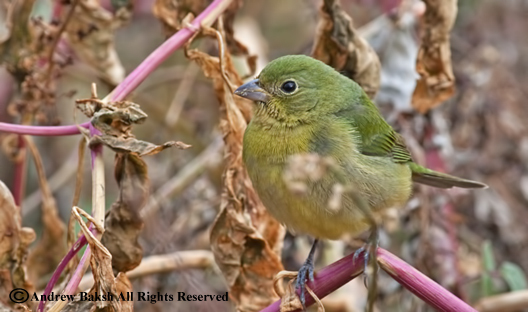 For those readers not familiar with the term, "twitching" it is a type of action from a birder who responds with frenzied activity to news of rarities in his or her region; the twitcher, will usually end up spending large amounts of money and travel long distances at short notice in order to see a rarity or new bird. I don't consider myself a bona-fide twitcher, but I do love a good chase especially when it comes to shorebirds. A plan to drive up to Montauk, the same night fell through as I filled up on gas too late. So, I decided that I was going to twitch the bird in the morning. Calls/texts to a few Queens birders trying to energize and recruit more people for the chase did not bear fruition and so I made the run alone the next morning. Around 8:00 a.m. I pulled into Montauk; near Rita's Stable, I saw birders, Anthony Collerton and Michael McBrien with his dad pulled over on the side of the road. 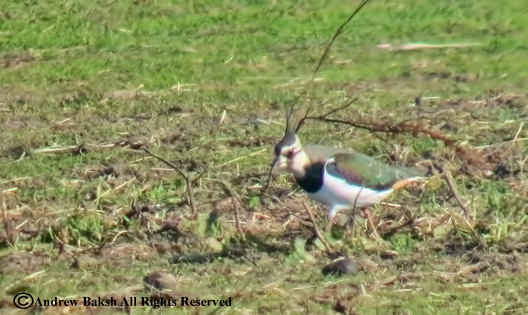 I checked in with them and learned that the Lapwings were not yet seen, but then Michael informed me that he thought he had just seen a Brewer's Blackbird. I inquired about photos and Anthony showed me a somewhat obscured photo. 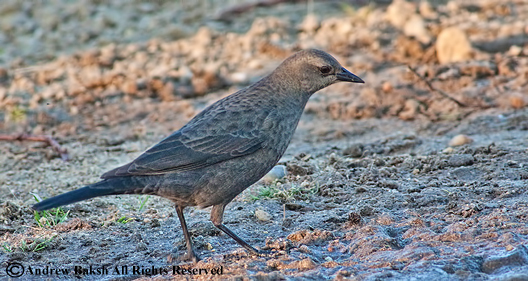 I saw, a female like blackbird that when I blew it up and studied it for a bit, I thought it looked like a good case for a Brewer's Blackbird, the bill was nothing like either a female Cowbird or Rusty Blackbird. The eye was dark and although I was wary of a juvenile, I was intrigued. Later on as we enjoyed my first look at the Lapwings I returned to the topic of Brewer's Blackbird and encouraged Michael to writeup a report on the bird. I was that confident that he, Michael, had the ID correct. 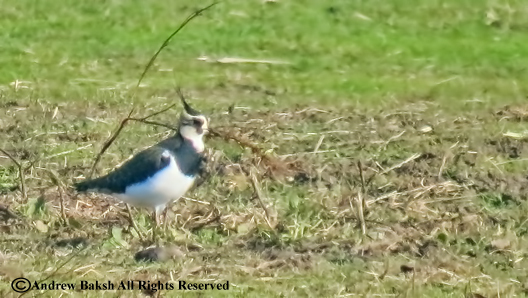 But enough of the Brewer's Blackbird for now, my target was Northern Lapwings and so I joined several birders as we canvassed and searched one of the pastures near Deep Hollow Ranch. 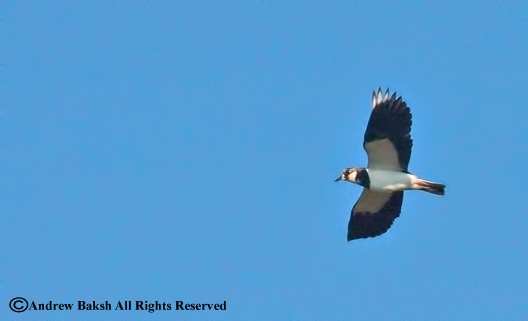 After about 30 minutes, a birder, Jim Ash, who had left us to expand his search re-found the Lapwings in a pasture behind the Theodore Roosevelt County Park. There was a mad dash as all of us there hopped into our vehicles and hurried over to the Theodore Roosevelt County Park parking lot. 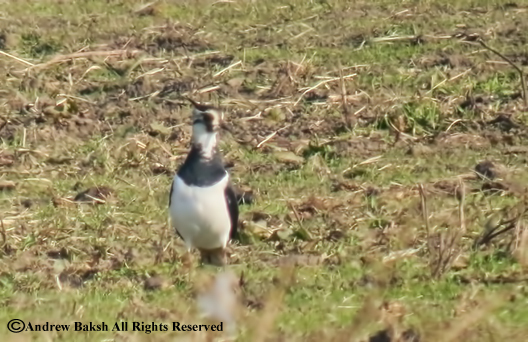 We had to hike up a path through a field and wind our way down a cattle path and then behind some paddocks, we lined up and quickly got our scopes on the Lapwings. 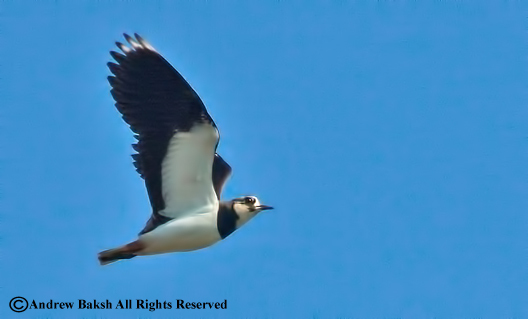 Lapwings are large plovers with rounded wings; Northern Lapwings breed all across northern and central Eurasia. They winter south to far northern Africa, Middle East, and southern Asia. Vagrancy occurs on the Atlantic coast of Canada and northeastern USA with some records scattered throughout West Indies from Bahamas to Barbados. 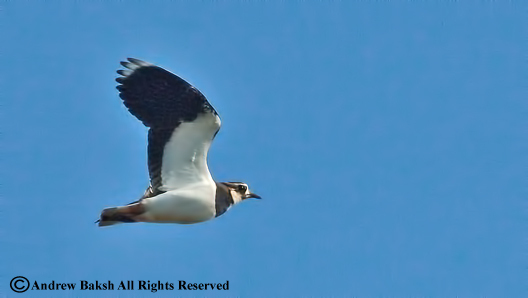 This was a very special bird for me and another shorebird that I added to my growing "rare" shorebird sightings for the year. Later on, Jim Ash came through again as he re-found the Brewer's Blackbird, which had returned to Rita's Stables and many of us got to study the bird. I obtained several photographs and video and the conclusion was that this was a solid ID. 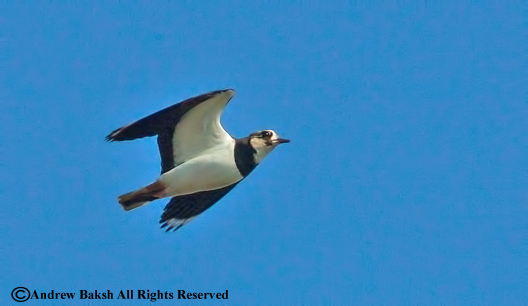 A terrific pick from Micheal McBrien, as this was a bird that could easily be overlooked. 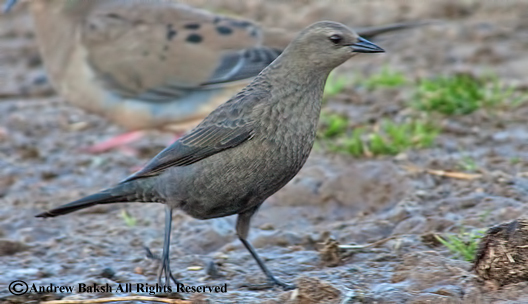 Besides the Lapwings and Brewer's Blackbird, I was able to see and document several other good birds for day. 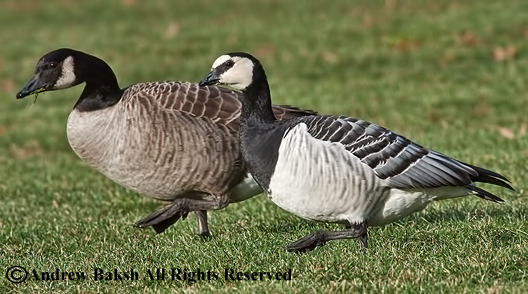 They included, 1 Cackling Goose, a very good candidate for a Dusky Goose, 5 Greater-white fronted Geese and at least 14 White-winged Crossbills. It was an awesome day of birding out on Long Island and proves that twitching can be quite productive if done right with a bit of luck thrown in!! Here are some photos. 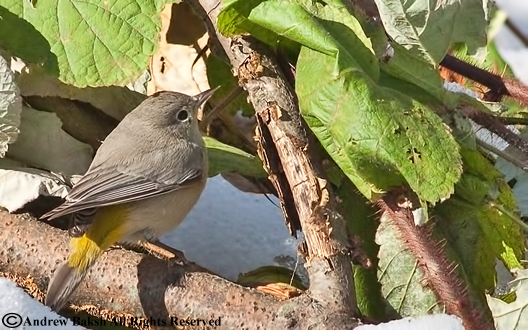 On October 31st Eric Miller, reported a Virginia's Warbler (Oreothlypis virginiae) at Alley Pond Park Queens. The moment the word got out, I was on the phone with Eric. From his description, it sounded solid, but I made sure I asked him questions on what the bird looked like, how it behaved etc. Not that I was questioning the ID, I was trying to visualize what I needed to look for when I went looking for it. This was an excellent find by Eric, with only one issue. It was a single observer sighting with no photos. The next day, many birders converged on the area and searched, I ended up spending 10 + hours looking, to no avail. But I was not giving up. Unfortunately, the gas shortage from Hurricane Sandy put a cramp in my plans and so I had to hold off on another search until I could get gas and make the time. Then came the Nor'easter dumping several inches of snow and creating even more damage. Finally, today I decided I was putting everything on hold and I was going out to look for the elusive Virginia's Warbler (Oreothlypis virginiae). 7 hours in the park with nothing much to show for it, but I kept on plugging away. I had just made it up to the green shipping containers an area near the challenge course and began up a trail when I heard a soft chip note to my right. It sounded warbler like and so I began to look for the source. It was quiet and nothing was moving and so I stood in silence and waited. After a bit, I heard the soft chip again and this time I picked up that it was coming from a clump of bushes a few feet off the trail. I was tempted to walk toward the shrub, but instead I stood still listening; after a few minutes or so, a warbler hopped out. At first, I thought Nashville, since it was in the shadows of the bush, but as it ventured out of the shadows, I saw how GRAY this bird looked. Eric's bird, I thought. I quickly ran through my head the things my friend Tom Burke, had cautioned me about when trying to separate a Virginia's Warbler from the Western race of Nashville. The wings, I kept remembering...what did he say? No green or green tinge. I carefully checked the wings; no green, the wings on this bird was gray. I slowly lifted my camera in a manner so as not to alarm the bird and fired off a few shots. All of them missed!! The bird had moved. Swearing, I now had to find it since it was no longer in view. I stood quietly and waited, if it did not fly off, it had to be nearby. Suddenly there was movement and the bird was closer but hidden. I waited patiently until it came out in the open, but instead of the camera I took another look drilling into my head what I was observing. 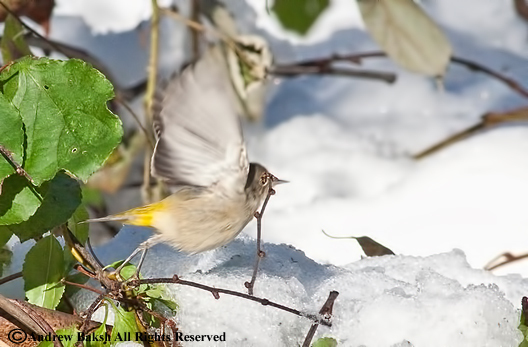 Pumping of the tail (check), yellow rump (check), yellow undertail coverts (check), bold eyering (check), the wings, the wings...no hint of green. Time again for photos, this time I managed a few shots before the bird moved again. I took several shots of the bird trying to get it from different angles. It was a busy bird and just like that it was going back into the far bushes. I reached for my notebook and jotted down some field notes, then I looked at my photos. 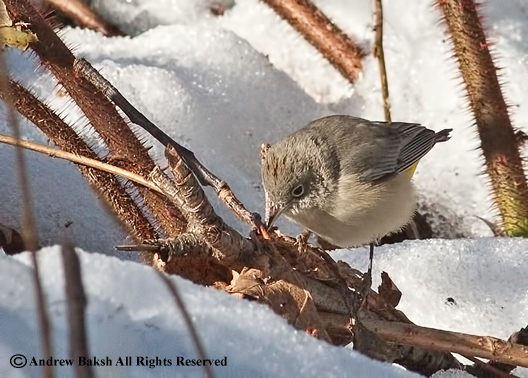 I was convinced, this was the Virgina's Warbler (Oreothlypis virginiae) from October 31st. In my excitement, I called Eric Miller, then I as was speaking with Eric, I realized I should get some other opinions. From folks who had not seen the bird. Tom Burke and Shai Mitra were both contacted; after giving them some description and getting to them images of the bird, they both agreed, this was the real deal. I hope it sticks around for others to get it. This has been one elusive little fella, but now we have images and it will no doubt enter the records; an awesome bird for QUEENS COUNTY. Thank you again Eric for a great find! Here are some photos. After getting skunked on trying to get gas in 4 attempts and having some work to do, I decided to stay home. It did not mean I would not bird because I see good birds in my backyard and if it is a good flight day, who knows what I might pick up flying into or over the yard. As luck would have it, I made out alright with the backyard feeders being visited frequently by the usual visitors. 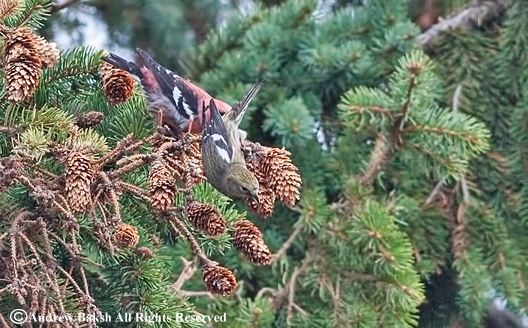 Plus, I got visits from some of the irruptive species such as Purple Finches (Haemorhous purpureus) and Pine Siskins (Spinus pinus). Sometime in the afternoon around 2:00 p.m. 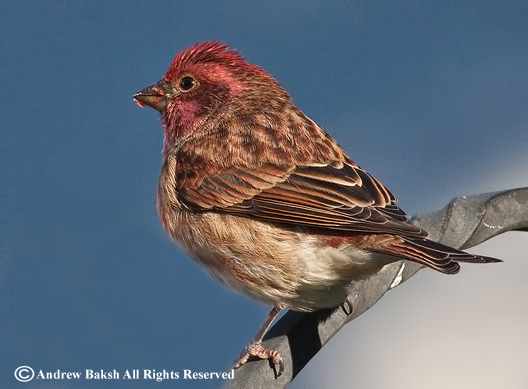 I thought I heard a Common Redpoll, so I went outside with my camera and carefully checked the birds at the feeders. Unfortunately, I did not find any, but as I was enjoying watching the birds feed, I heard a sound that seemed familiar. 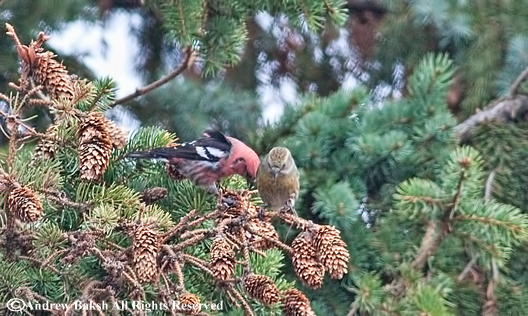 Crossbills? Can't be I thought, as I watched about 9 birds fly and land on the Pines in the backyard. I casually lifted my bins and was astonished when I locked on one of the birds. 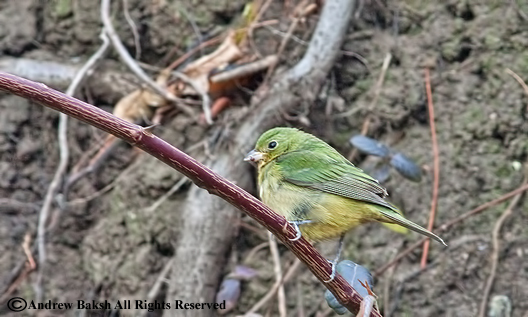 I was looking at a White-winged Crossbill (Loxia leucoptera)a female. I scanned in the near vicinity where the flock had landed and picked up several more including two males. I quickly snapped several pictures, thinking I needed to have documentation. I am glad I had the camera and acted fast because they did not stay too long. After picking on some of the cones, they called out to each other and all took off in a South Westerly direction. This was a new yard bird for me and I could not believe that I got these after seeing Evening Grosbeaks yesterday in my home county of Queens. Who knows, maybe Evening Grosbeaks maybe next in my yard. Here are some photos of today's yard birds. 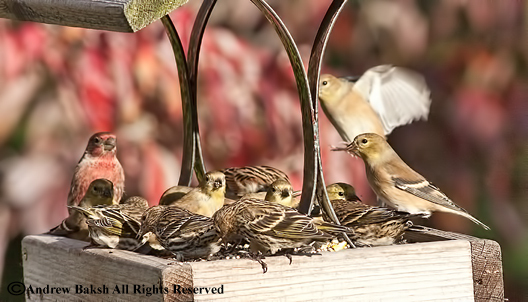 A mixed flock of House Finch, American Goldfinches, Pine Siskins and House Sparrow. 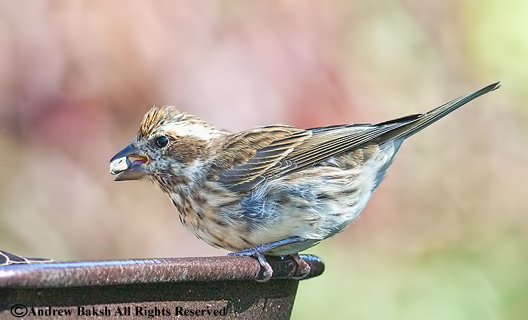 1 of the two Female Purple Finches that visited the feeders today. 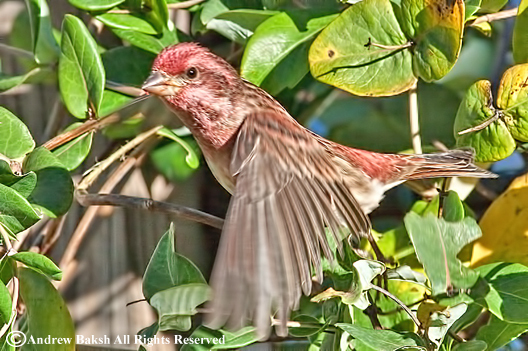 Male Purple Finch - there were two males today at the feeders. 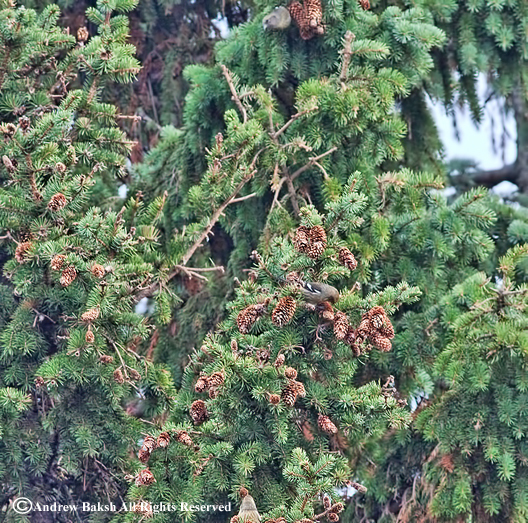 How lucky to see and document White-winged Crossbills in my backyard. 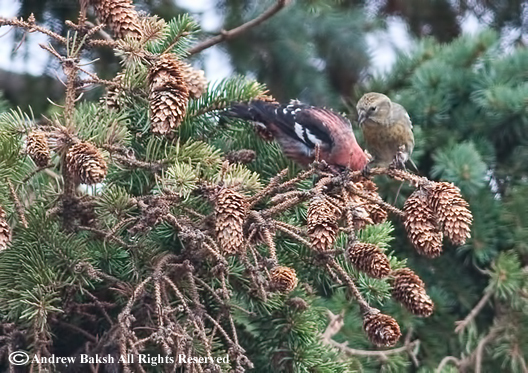 Male and female White-winged Crossbills.